Lancaster - Corporate Jet Charters, Inc.
Lancaster is a city located in South Central Pennsylvania which serves as the seat of Pennsylvania’s Lancaster County and one of the older inland towns in the United States. There are two distinct sides to Lancaster. On one side, there is the expected beautiful farmlands, family-style feasts, and the Amish culture. On the other side, the city life with exquisite cuisine and contemporary art. The city’s primary industries include healthcare, tourism, public administration, manufacturing, both professional and semi-professional services, and home of the Park City Center shopping mall, the largest indoor retail facility in the region. The city is also known for its innovative adoption of advanced technology and hosts more electronic public CCTV outdoor cameras per capita than any other US city. 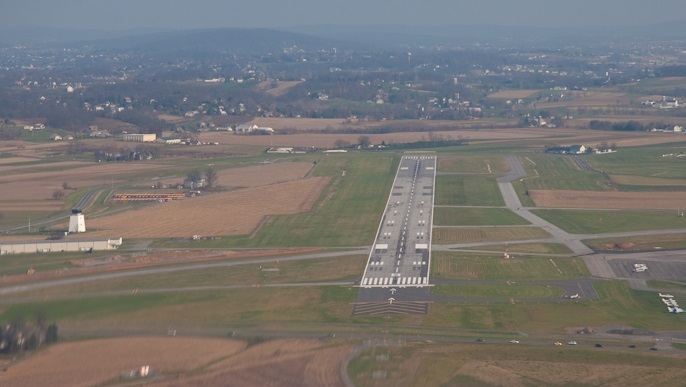 Lancaster Airport is a public use airport located four nautical miles north of the central business district of Lancaster, Pennsylvania. The airport is the fourth busiest airport in Pennsylvania and it serves charter clients in the central region of the state. Known for its service and location, this airport is popular with both business and pleasure travelers. This airport features a single six thousand nine hundred and thirty three foot runway.